Not another article about the overly hyped game Pokemon Go. My apologies. But the hype around the game is – to some extend – exactly what is so interesting about this, as it aids technology acceptance and adoption. 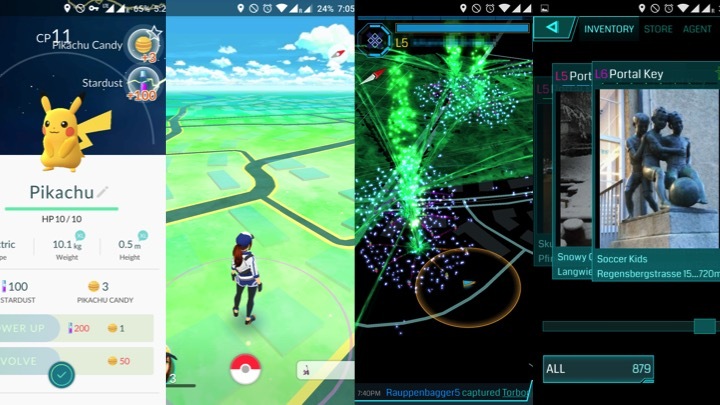 Some say Pokemon Go is the start of the augmented reality revolution. Some say, it does not even feature true augmented reality. In fact, It is certainly debatable if the game does augment a user’s reality. A debate though always has certain points of views. The technological aspect, the practical role, or even the fun factor. All valid and true to some extend. This is why I will not go into much detail here. In my opinion (again, point of view), the virtual replication of the surroundings via GPS / maps as well as the blending in of Pokemon in your immediate environment via the camera feature, does simulate some sort of augmented reality to the user, the gamer. But yes, it does not really enhance nor aid any big advancements. The main point of this game – ideally, every game – is fun and entertainment. And that is the value added here. Nothing more, nothing less. In regards to technology acceptance and adoption, there are two points of interest when it comes to the game Pokemon Go. One is the influence peers have in the usage and spread of something new. The other is the option to try and see a product or service (in real-life), the trialability. Since trial is usually the decisive factor before rejecting or adopting a new product or service, I will focus on this aspect. Trialability is one of Roger’s (2003) five attributes or characteristics of innovations and describes the possibility to perceive and experiment an innovation. Hereby, I am not talking about Pokemon Go as an innovation. Even though nowadays everything is supposed to be disruptive. Rather, it is the augmentation of our lives and reality through technology. This may include augmented reality directly, but even the so coined internet of things (IoT). In that sense, the widespread (#hype) usage and entertainment enabled through the game may aid the development of familiarity with technologically or digitally enhanced environments. In contrast to its predecessor, Ingress, which I also played, Pokemon Go does have a more diverse and mainstream user base. In Moore’s (2014) terms it crossed the chasm from early adopters and innovators to a (possible) early majority. It’s about learning and evaluating if an innovation, a product or service, is worthwhile before sharing the experience with others. Hence, instead of saying I have never heard of that, what does it do, people might already know. Now, the tricky part is that, as said earlier, Pokemon Go is just for entertainment and not called – or for some considered to be – augmented reality. Or whatever. So the association for related products or services might not be there. However, since they already know the concept, adoption of similar things will be easier. To come back a bit, this process of adoption can already be seen in Pokemon Go’s predecessor, where (nerdy) early adopters tried and evaluated the product that now started the next phase: to target the average customer. It is noticeable in streets and parks of many cities, that a lot people are playing the pocket monster game on their smartphones. Though tendencial younger in age, the user groups’ socio-demographic attributes are more diverse and divergent. So in comparison to Ingress, at the Barcamp Stuttgart even coined workout for nerds (“Bewegung für Nerds”), the game is not played by a small fragment of technologically interested people, but rather by the mainstream. With that shift in adopter respectively user groups, more people are getting in touch with the game’s technological possibilities, how small or large, how new or disruptive they might be. As from the user’s perspective, it does not matter how technologically advanced or disruptiv a product or service is. It is the perceived novelty and usefulness that matters – even though, in this case, it mostly comes down to entertainment – as well as the familiarity with it. Reluctance and fear are hindering factors when it comes to the decision of rejecting or adopting an innovation (of sorts). Considering the fear of bots and technology taking over or taking away jobs, having seen how technology can potentially help us, might ease economic and societal transition. In essence, the widespread usage and possibility to try and perceive the technological features (trialability) of the game – true augmented reality or not – will aid the adoption and diffusion. In one way or the other. Moore, G.A. (2014). Crossing the Chasm: Marketing and Selling High-Tech Products to Mainstream Customers (3rd Ed.). New York, NY: HarperCollins. Note: This blogpost states an observation and opinion of mine. I have not done any further research, so it might lack certain standards of (academic) rigor.